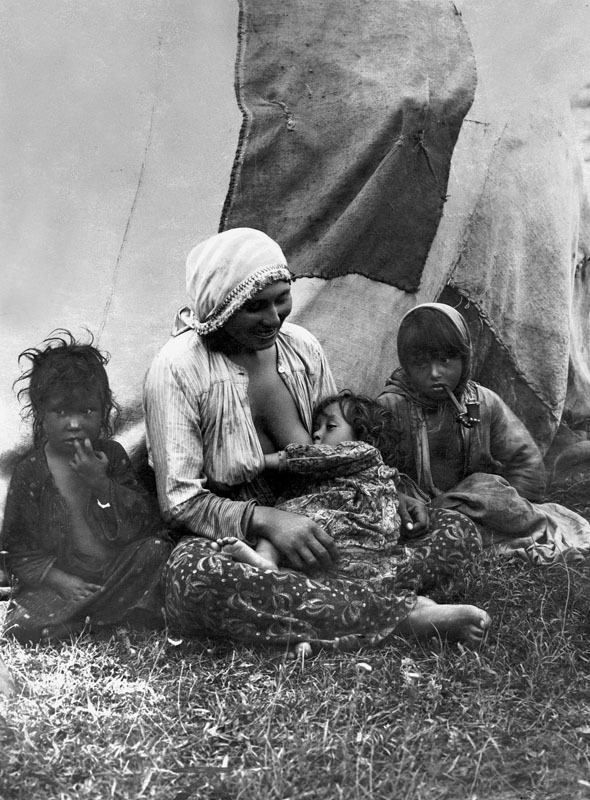 The photo form the 1930s shows a Roma woman breastfeeding a child. In the grass near her are two other children. My research has looked at the various “life-history” variables (such as length of gestation, birth weight, growth rate, age at sexual maturity, age at eruption of teeth, life span, etc.) in non-human primates and then looked at how these variables correlate with age at weaning in these animals. 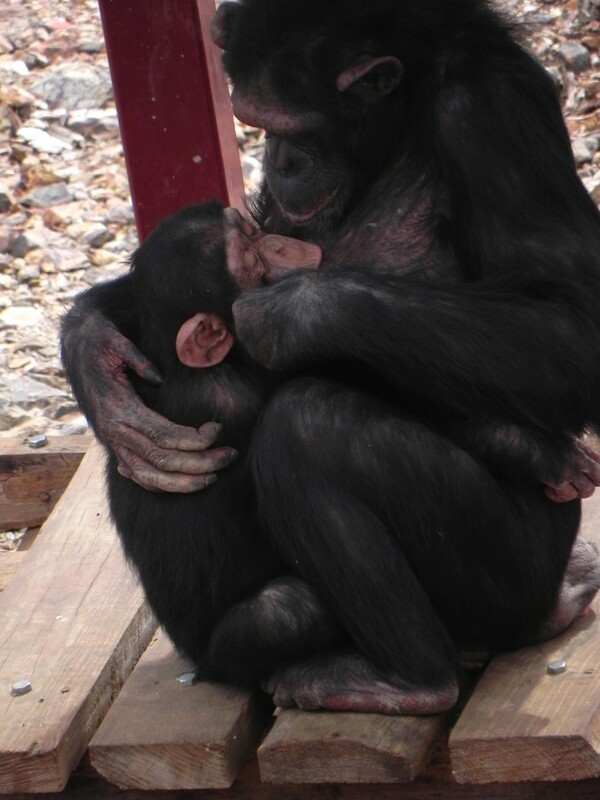 These are our closest relatives in the animal kingdom, especially gorillas and chimpanzees, who share more than 98% of their genes with humans. I came up with a number of predictions for when humans would “naturally” wean their children if they didn’t have a lot of cultural rules about it. This interest stemmed from a reading of the cross-cultural literature on age at weaning, which shows that cultures have very different beliefs about when children should be weaned, from very early in the U.S. to very late in some places. One often hears that the worldwide average age of weaning is 4.2 years, but this figure is neither accurate nor meaningful. A survey of 64 “traditional” studies done prior to the 1940s showed a median duration of breastfeeding of about 2.8 years, but with some societies breastfeeding for much shorter, and some for much longer. It is meaningless, statistically, to speak of an average age of weaning worldwide, as so many children never nurse at all, or their mothers give up in the first few days, or at six weeks when they go back to work. It is true that there are still many societies in the world where children are routinely breastfed until the age of four or five years or older, and even in the United States, some children are nursed for this long and longer. In societies where children are allowed to nurse “as long as they want” they usually self-wean, with no arguments or emotional trauma, between 3 and 4 years of age. This interest also stemmed from the realization that other animals have “natural” ages of weaning, around 8 weeks for dogs, 8-12 months for horses, etc. Presumably these animals don’t have cultural beliefs about when it would be appropriate. 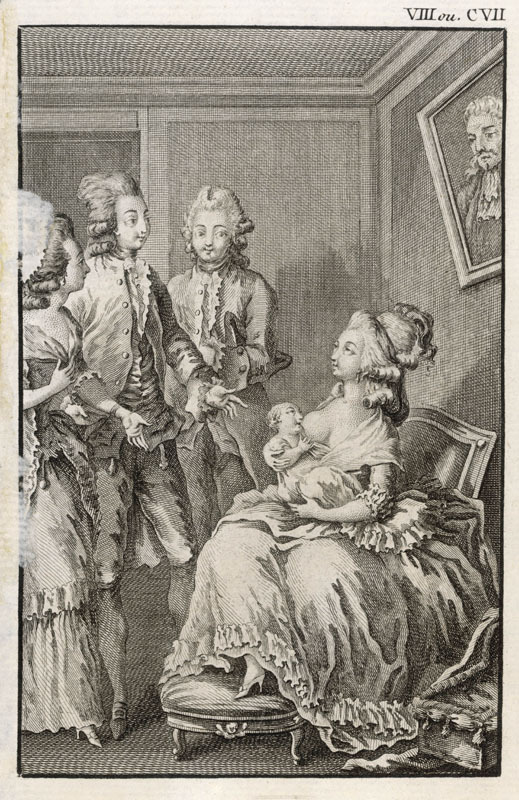 An aristocratic French lady breast feeds her baby in front of visitors. Clearly, babies born in the U.S. don’t have to contend with all the diseases and parasites and contaminated water that babies in developing countries do. We have more supplementary foods that we can generally trust to be safe and clean. We can get our children immunized, and get them antibiotics for infections when necessary. The fact that we *can* does not mean that breastfeeding is unimportant. I hope this has been of help. These ideas are developed much more eloquently and in much greater detail in my chapter “A Time to Wean” in Breastfeeding: Biocultural Perspectives being published by Aldine de Gruyter. Why Do We Jokingly Use the Word “Nazi”? I stopped breastfeeding my son at 4 years old. Let him decide. Natural weening age is self explanatory. When it happens naturally. Both of my daughters self weened at approx. 1 year. My daughter is now nursing the last 2 of her 4 children. 3 months and 3 years old. They will stop when they are ready. Naturally. It also has a lot to do with how much food they are eating. If they eat lots of food they do not need as much milk and that in turn lowers the supply which usually makes the baby frustrated with it and they lose interest. Thank you so much for this. So educating and questions answered I’ve been wondering.